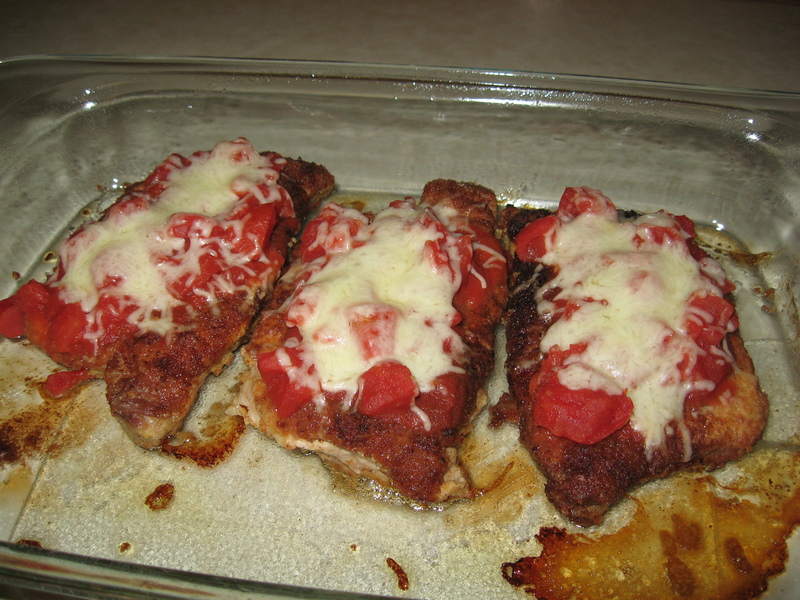 Pork steaks present such an economical value and can be so tasty. Here is a very easy way to fix them and I am sure that you will enjoy them greatly. A side of fried potatoes or even a potato salad along with coleslaw would be a perfect accompaniment. In a large skillet, melt the butter and mix in the soy sauce. 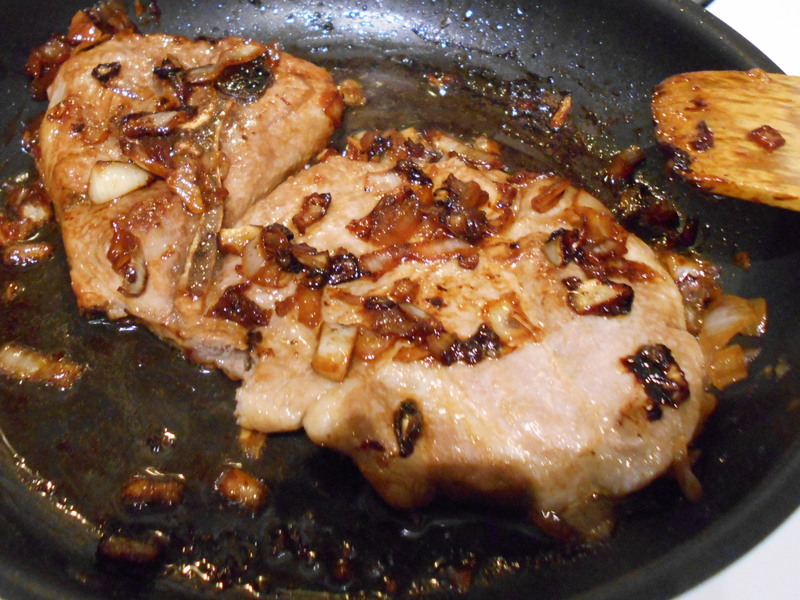 Place the pork steaks in the skillet, cover, and cook 8-10 minutes on each side. Remove cover and continue cooking 10 minutes or to an internal temp of 145 degrees in the chops. 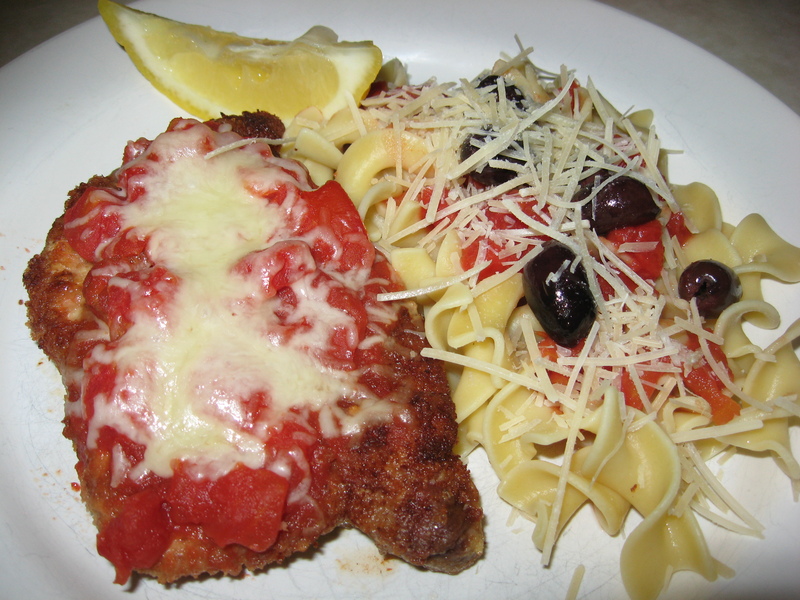 This particular recipe serves 4 however it can just serve one or more than 4 if you have a very large skillet. 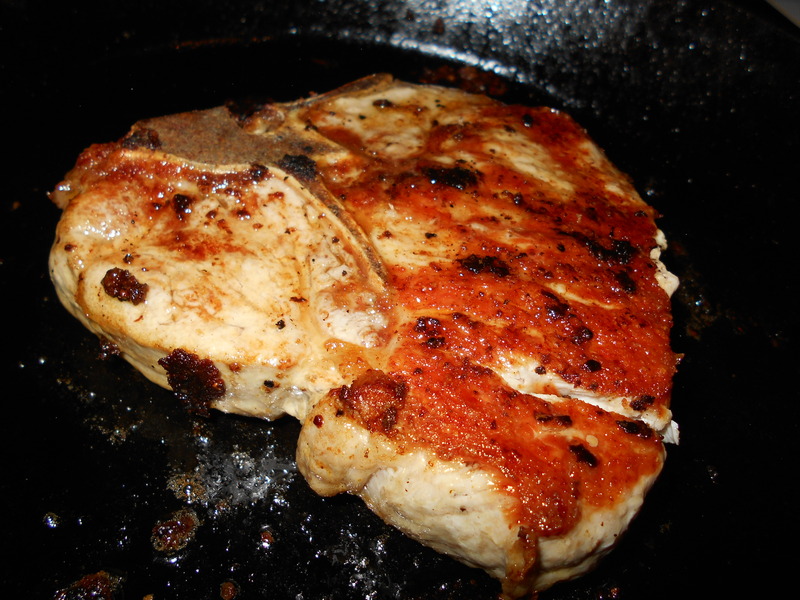 Put the pork chop(s) in the heated skillet and brown for 2 minutes on each side. 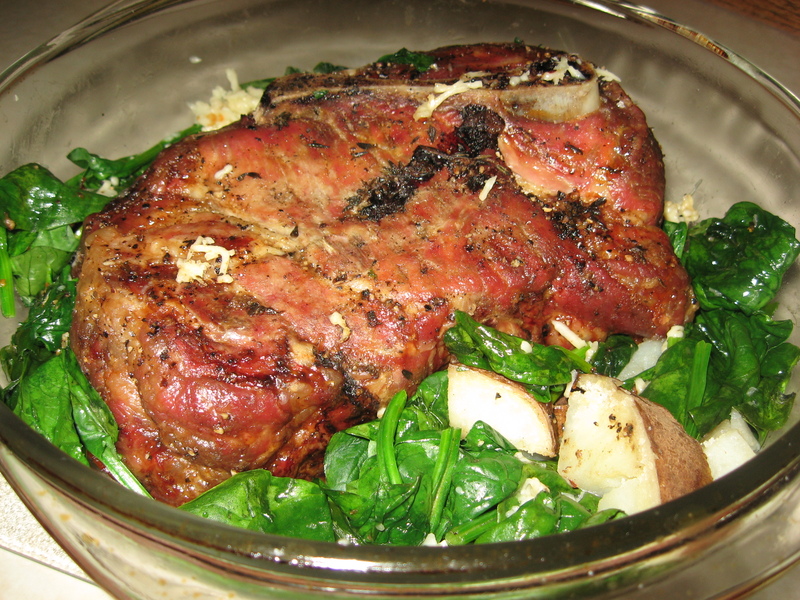 Put the skillet in the pre-heated oven and bake until the chops are just cooked through—about 12 minutes but it can be before, so watch carefully. You don’t want your chops to be tough. There you go—easy and delicious. Now, that you have the basic recipe, try to imagine other variations to spread on your chops and let me know what you like the best. This is a fun and easy dish to prepare: fun because I decided to do some colorful accompaniments for my presentation and certainly easy because there was so little prep work. But best of all, the roast was even better the next day— sliced and served cold. So I am thinking that this might be a good dish to make the day before and then slice and serve it at a picnic or for a cold buffet for your family or guests. Even the veggies were delicious cold. Think ahead to our wonderful SVSS picnics and other summer events as well. In a bowl, mix the bread crumbs and olive oil so that he makes a nice consistency to pat all over the roast and so that it sticks to it. Bake the roast for at least 35-45 minutes or until there is no rare pink showing when you poke it a bit or/and if a meat thermometer reads 165 degrees. Frankly, a little pink does not scare me in this day and age. 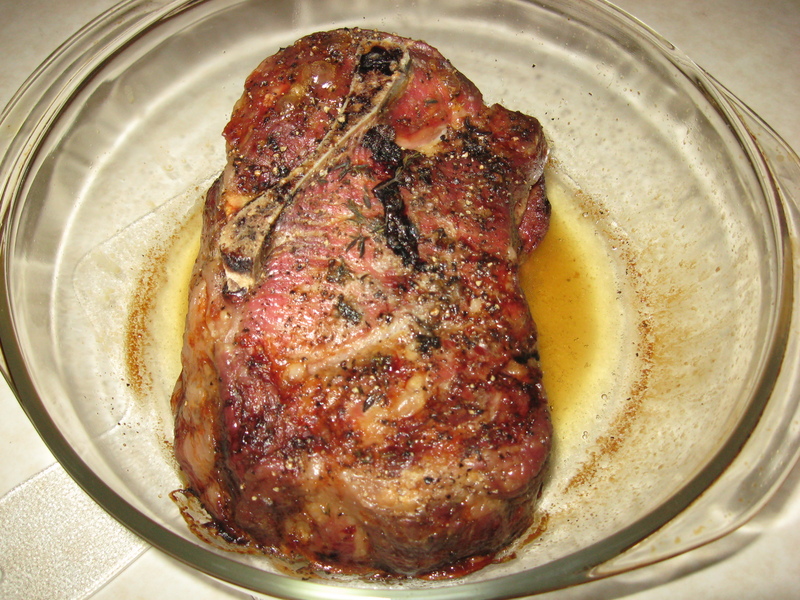 Let the roast rest for at least 10 minutes and then slice it into 1/2 inch slices if you wish to serve it the same day. 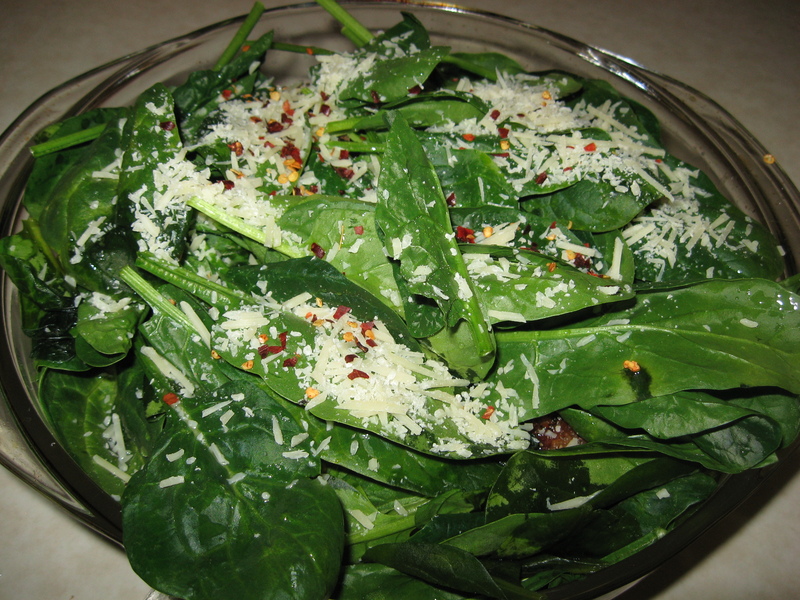 If you are planning on serving it the next day, wrap it in the foil and slice it then. For the veggies (mushrooms and mini peppers)—you can roast them along with the roast or if you wish, sauté them in some olive oil in a frying pan; then surround the roast on a platter (lately I favor white dishes) with your colorful veggies. By the way, with the peppers, I actually left them whole—stem, seeds and all. Roasted they were delicious and it was fun to pick up the pepper and discard the stem (not for the feint of heart I guess—) As well as I mentioned previously, this is a dish that is almost more excellent the next day—served cold. 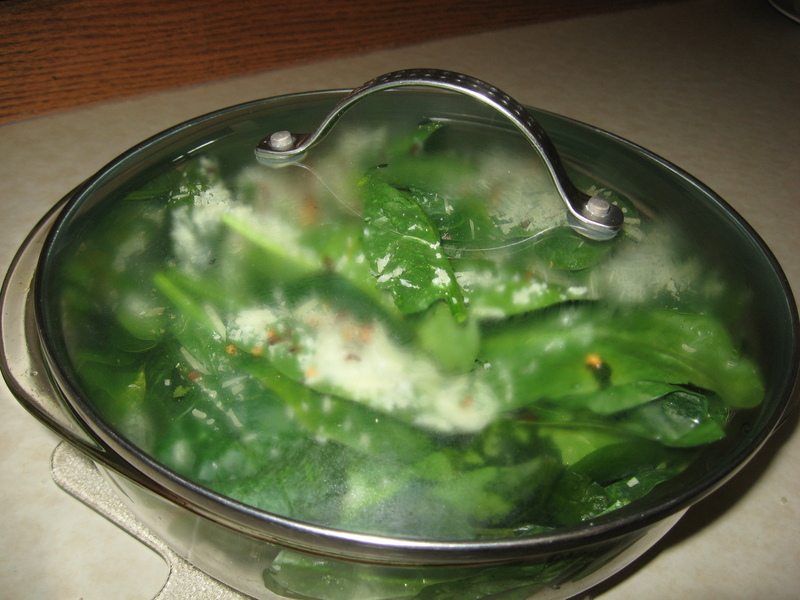 Please see my blog for multiple vegetable oven roasting directions: http://blog.tempinnkeeper.com P.S. I like my roasted veggies to have a little “burnt” character to them–but you don’t have to do this.